Start changing the future outcome of your life and CTFO business with some simple steps. Hi, my name is Bill and want to welcome you to my CTFO – Changing The Future Outcome page. You can reach me at 225-413-8928 for info about the company or would like to join. 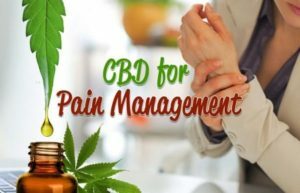 I have been a user of hemp-based CBD oil and creams for some time now and have experienced some very positive results. I am also an Independent Associate of CTFO with a company website that explains all the company products in great detail. Get in on the CTFO CBD products business! Call me either before or after you join or order CTFO at the number above. I am more then happy to help you and show you what I use to build my business. I also use the products and will share with you my testimony and how the CBD products have helped me have an overall better life. These are great products that all you need to do is share. CTFO is also known as Changing The Future Outcome and is a company that specializes in hemp-based CBD oil products. These products range from pain and discomfort creams, sprays, roll-ons, and drops to facial, anti-aging and weight management type products. CTFO sources their hemp from Industrial Hemp farms in Kentucky that are known to produce some of the best, CBD Hemp Oil in the United States. The CBD is isolated through the use of CO2 extraction and crystal precipitation process. It has been said that this is one of the highest grade, Non-GMO, pesticide-free hemp in the world. The Industrial Hemp Farms where CTFO gets their CBD from are fully compliant with the State Department of Agriculture regulations and are some of the largest United States distributors of Hemp that is rich in CBD, CBC, CBN, and CBG. CBD – Cannabidiol is a hemp-based compound that has been known to have significant medical benefits without the feeling of being high or stoned. CBD rich Hemp plants grown in the US are very low in THC and make for a great source of CBD Oil that contains little or no THC. Cannabidiol is non-psychoactive which makes it the top option for people looking for relief from discomforts. The meaning of “Discomforts” to many means; pain, inflammation, seizures, spasms, cramps and other conditions. The company has even developed products for pets. Many people have pets and care for them as part of their family. CTFO recognizes this and has developed some CBD oil based products just for your pets. Aging pets suffer from the same discomforts as humans do so why not give them some products that may help them feel younger? 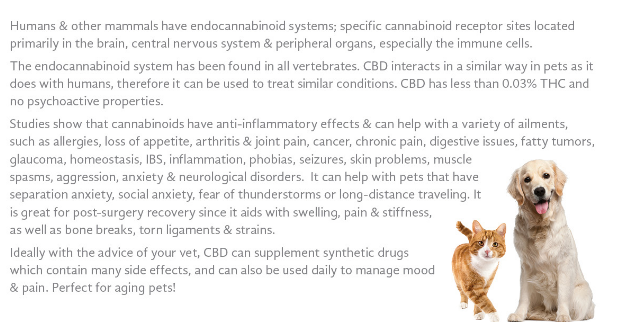 Read the information below or visit CBD For Pets to learn more about some amazing CBD oil products for your best friend. CTFO has been coming out with new Hemp based CBD oil products on a regular basis. They have one of the largest product lines and growing than most companies in this business. I expect to see eatable CBD products for us humans to be part of the CTFO product line at some time in the future. To the best of my knowledge, all CBD products are legal in all 50 states at the time this article was written and published. All products are made from the hemp plant and do not contain anything made from its cousin the marijuana plant also known as cannabis. With this said, you must be careful where you get your CBD oil products from. Where marijuana is now legal most CBD oil products come from the cannabis plant. With this said, be careful where you get your products from. Purchasing from CTFO guarantees you that you are getting legal Hemp based products in your state. To learn more about the difference between the two plants visit hemp and marijuana plants. Thanks for visiting my CTFO CBD products page. If you have any questions please give me, Bill a call at 225-413-8928. I will be happy to talk to you about the business or the products. It’s best to visit my main company replicated site first and look over the products and business that is available. After that, I will be happy to help you with changing your future if you so desire. CTFO is constantly working to bring new CBD products to the marketplace. In October 2018 the company added several new and popular products to its product line. 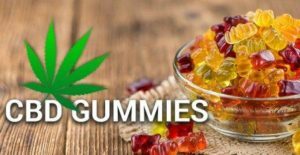 Their first CBD Gummies hit the market and the success was overwhelming. You may ask, What is a CBD Gummy? You may have herd of the candy called Gummy Bears, Gummy Worms or some other name starting with Gummy. This candy that is loved by many has now been infused with CBD oil to create one of the most popular CBD products on the market. The CBD edibles market of 2017 proved to be very popular and profitable to the companies making and marketing CBD products. The most popular edible of them all is the line of “Gummies”. Many companies worked hard to bring a good CBD gummie to the marketplace. Many of these gummies did not meet the taste test because the CBD flavor was overwhelming. New developments in the processing of hemp oil CBD’s were developed. The making of a tasteless and odorless CBD oil was engineered and the gummy market took off. Now in 2018 you can find a wide variety of gummie and edible products. This is just one of the new products that CTFO has added to its product line. CTFO is working hard to be your company of choice when it comes to to the making and marketing of CBD products. They offer their customers a 60 day money back guarantee and are open to your comments and questions on how they can improve on customer satisfaction. CTFO plans to be around and in the CBD business for many years to come so your satisfaction is of the up most importance. Thanks for visiting our site ChangingFutureOutcome.com. Check back often as new information about the CTFO product line will be added to this site in the coming weeks and months.